After I design a piece, I write out a list describing the order of the colors, which papers will go in the same slot in the frame, and what elements of the image go on each layer. Then I break out my Illustrator design into new template files for each separate layer of paper. 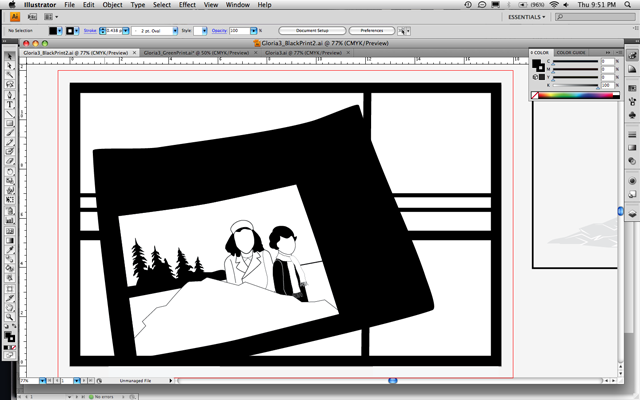 To keep myself from getting confused, I always make black what stays and white what gets cut out. 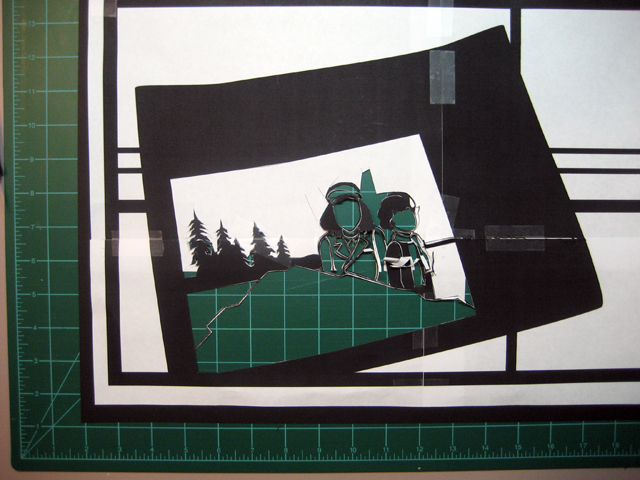 This template is for the second black paper layer in this piece. This gets tile printed and taped together at actual size. 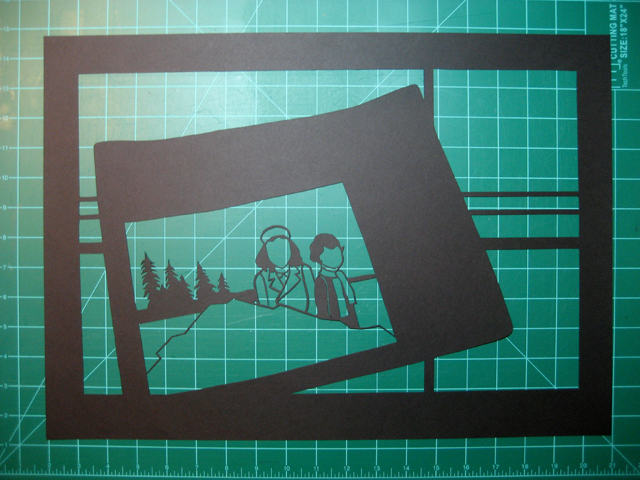 I tape down one edge of the template and the paper I'm going to cut to my cutting mat. 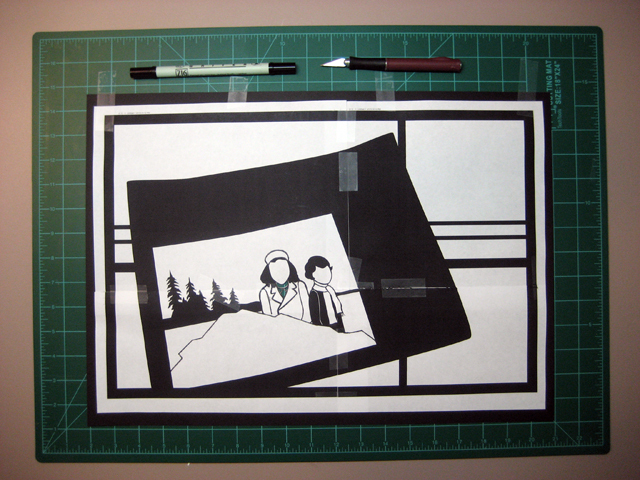 If I see any places on the template that need to be adjusted (made thicker, connected, etc), I fix them up with a felt-tipped black pen. The reason I only tape one side down is because I am constantly lifting the template up to check the cuts I'm making and frequently need to clean up or adjust things by sight. 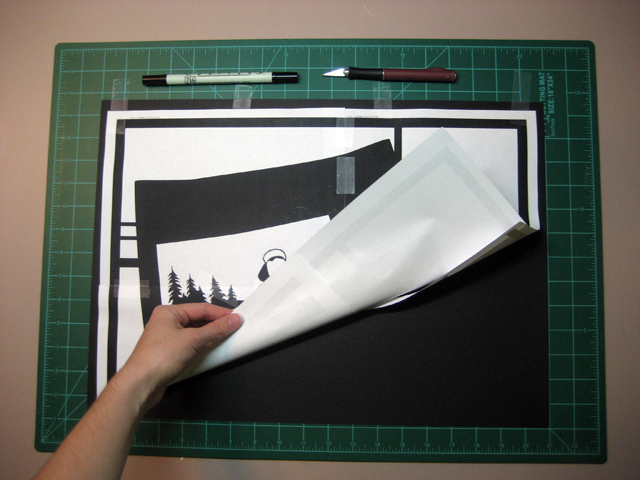 I also only tape my paper down on one side so that I can lift it up and brush away the little paper scraps as I go.